As you may know, the permission issue that the specified user does not have a valid profile on Windows 10 can happen to you especially when you are to launch some Microsoft store apps, like Skype, Spotify, iTunes, Mail, which are located in the folder C:\Program Files\WindowsApps. You can also check it from the error message in the screenshot above. Why Does the Specified User Do Not Have a Valid Profile? How to Fix the Specified User Does Not Have a Valid Profile Error on Windows 10? So that is why so many users are confronted with an error on apps from Windows store, for instance, the specified user does not have a valid profile on Skype. Soon after that, you try to test the condition of other Windows Store applications, such as Slack or Microsoft Power BI Desktop, the result turns out to be the same-You are unable to get into it as your account is not valid or doesn’t have enough permission. Even if you have just got the computer, the time when you are trying to open such Windows programs as Microsoft Word and Spotify with premium account after you downloaded them from Windows store, no valid profile issue will come to you anyway. Or for some of you, you can also notice the invalid specified user profile issue keeps popping up even when you are running an application that is not downloaded from Windows store, such as Cloudpaging Player. Sometimes, you even can’t change default apps due to broken Windows user profile error, in these cases, you will probably find it annoying and sad as you failed to change the browser to Microsoft Edge. Hence, it is absolutely necessary for you to get through what causes a specified user does not have a valid profile problem and how you can get rid of it for Window 10. By nature, when it comes to what makes the specified user profile unavailable for Windows 10, judging from in what situations you will stumble upon this user account permission error, it can obviously attribute it to two principal reasons. 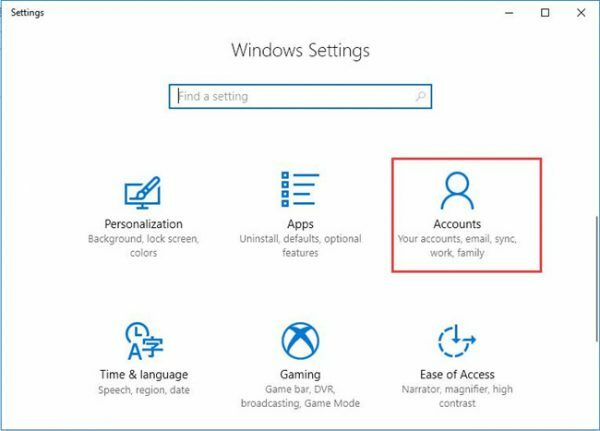 The one lies in that the account you are using to log into Windows 10 has limited permission. In terms of the specified user does not have a valid profile error when opening Windows Store apps, maybe you just need to sign in with your Microsoft account and the permission limitation will go away. The other reason consists in the problems in Windows Store. It is likely that the damaged Windows Store cache can be one the culprits. Or for users who encounter this unavailable profile related problem after Windows 10 October Update, maybe the major cause can be found in the updates. Upon the time you get to know what leads to the issue of specified user no valid profile, why not go on to remove it for your PC. 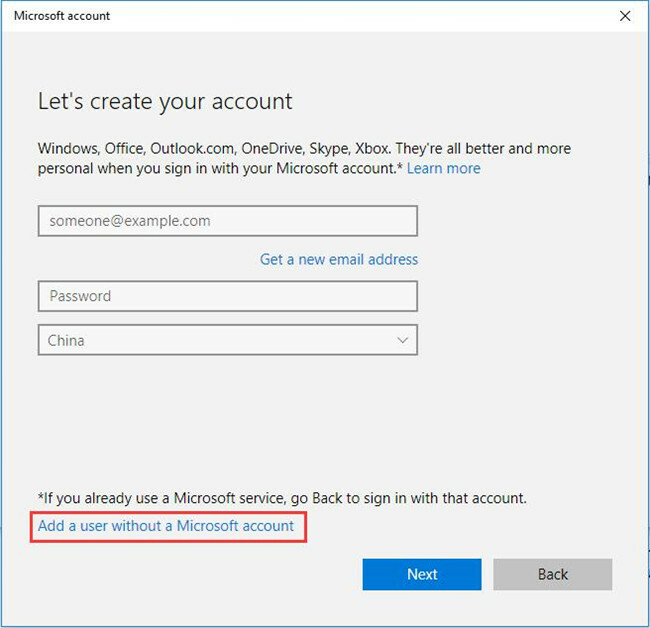 From the account permission granting to Windows Store fixing, you are able to get the invalid profile removed from Windows 10 Skype, Office, Slack, iTunes, etc. Here before you dive into this specific problem, restarting Windows 10 several times to see if it works. If not, go ahead. It is believed that the specified user having an invalid profile in a large sense can be caused by the restricted permission of the current account. 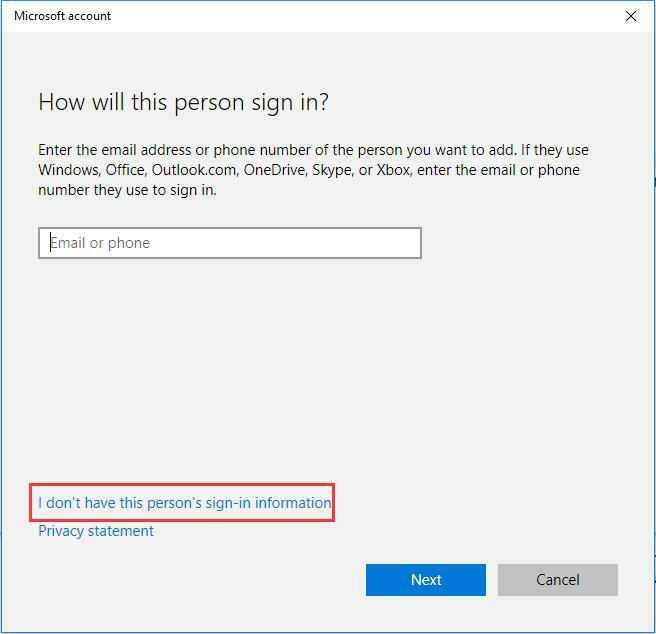 In this way, you can try to sign out and then sign in with the administrator account to see if this time Windows 10 no valid profile error will run to you. 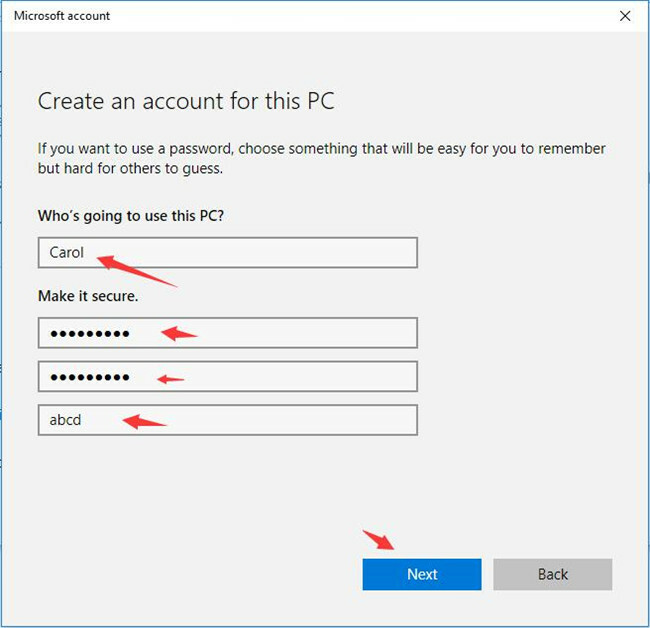 Or you need to create a new account and then log into the system with it in case the old account is corrupted or functions with limited permission on Windows 10. 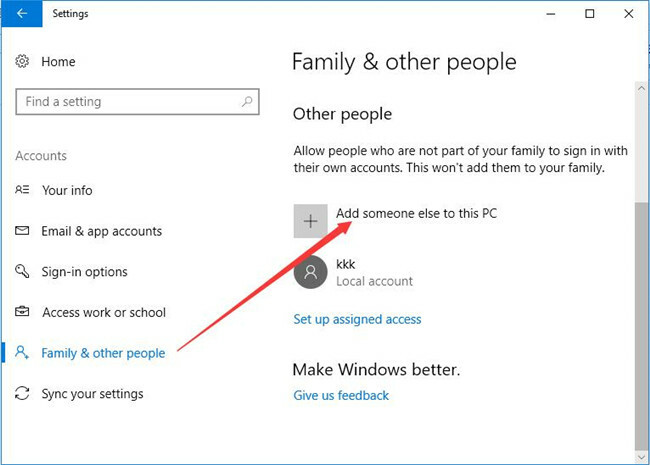 Here take Windows 10 Home edition as an example to set up a new user account for your PC with the invalid profile. 1. Go to Start > Settings > Account. 2. Under Family & other people, hit Add someone else to this PC. 3. Then click I don’t have this person’s sign-in information. 4. In the following window, hit Add a user without a Microsoft account. 5. Type in the name, password and other information to Create an account for this PC. Right after that, Windows 10 will have created a new account and you will not meet with the problem that the specified user does not have a valid profile when you launch the Windows Store applications, such as Office and iTunes or the TV programs. 1. Get Microsoft account troubleshooter. 2. 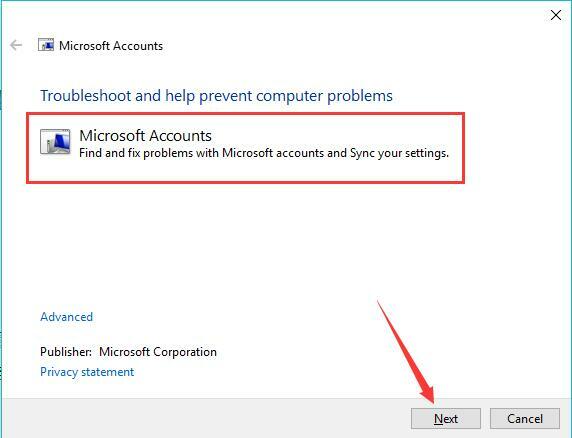 In Microsoft accounts window, click Next to use this troubleshooter on Windows 10. 3. 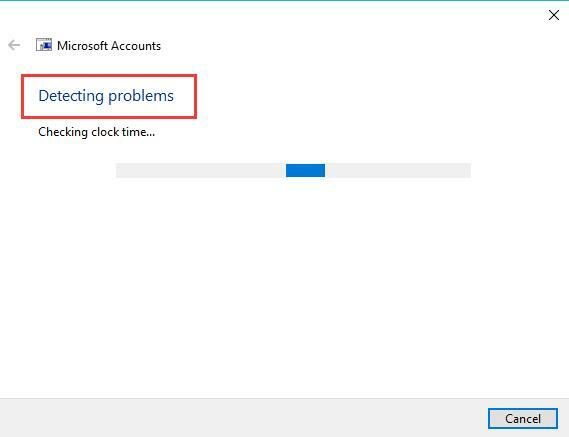 After that, you will observe that Microsoft account troubleshooter is Detecting problems in your account. Based on that, it is likely that this troubleshooting tool will find and fix problems with Microsoft accounts and sync your settings. Try to open the Slack again to check if the specified user has no valid profile error remains on Windows 10. According to the reasons why the account has no permission to run some Windows store apps, apart from the account corruption, Windows Store is also to blame. To some degree, it is undeniable that the account permission problem that the specified user does not have a valid profile occurs to Windows 10 mostly in Windows permitted applications. From this perspective, there is much need for you to make sure the Windows Store program on your PC runs correctly and properly. For sake of achieving that goal, you are to reset Windows store so as to ensure nothing corrupted or damaged left in it. 1. Press Windows + R to elevate the Run box. 2. 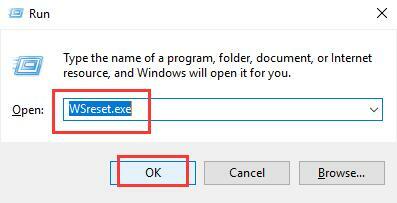 In the run box, enter WSReset.exe and then stroke OK.
3. The moment you hit OK, your Windows Store app will be reset automatically on Windows 10. You might as well manage to re-launch a Microsoft designed application, like Spotify. Perhaps the pop-up error saying the specified user does not have a valid profile has perished forever. To fix Windows store issue so as to make sure the invalid profile will not drop by your PC, there is another choice open available. That is to re-register the Windows Store app for all accounts in Windows PowerShell. Ideally, shortly after that, Windows Store app not opening, hanging, or out of work can all disappear if you can choose to re-register Windows store. 1. Type in PowerShell in the search box and then press Enter to navigate to it. Here you would better move into Windows PowerShell with administrative privileges. 2. In Windows PowerShell, copy and paste the command below and then hit Enter to register Windows Store. With Windows Store app registered for all accounts, it is up to you to run applications from Windows Store or out of it, account permission limited error will get away from you. Anyway, technically speaking, you are capable of removing the remainder that the specified user does not have a valid profile if you can follow to fix the issues in Windows 10 account and Windows Store app.